Looking for that quick fix solution? The custom branded individual Biscuit Cello Bag is a top choice. You can never go wrong with biscuits, which is why the promotional Individual Biscuit Cello Bag is a perfect giveaway for your next corporate event. They are the perfect companion for coffee breaks during conventions or nibblers during conferences and seminars, so be sure to give these away during your next corporate event. Show off your brand with a full colour sticker on the packaging to promote brand awareness. The best part? This is one of our promotional items that offer the best value for money. It tastes great, showcases your brand, and will never break the bank! What more can you ask for? 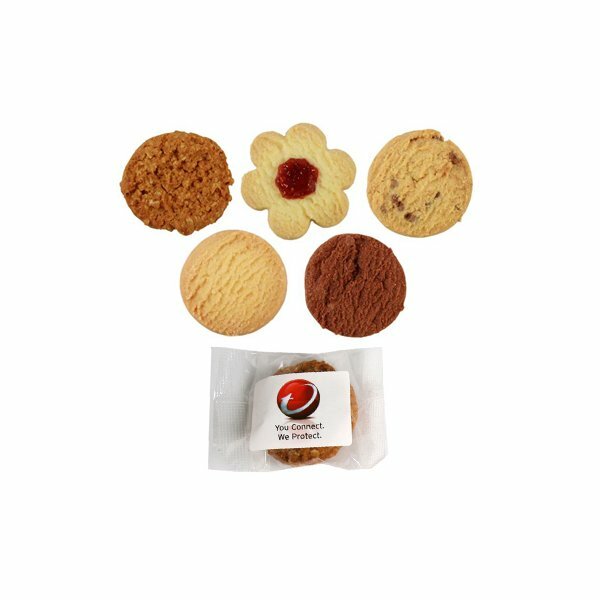 Our branded Individual Biscuit Cello Bag comes in a variety of exciting flavours which will bring such a delight in every bite. Each individual bag contains an assortment of biscuit flavours such as Choc Chip, Shortbread, Anzac, Jam Shortbread and Triple Choc. Delicious! 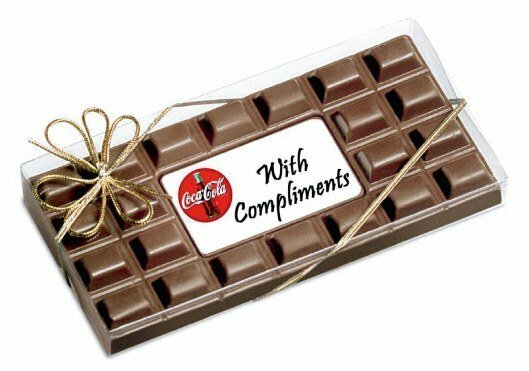 And since they are in a single serve packaging, these are great to hand out at trade fairs, product launches, and all other events. Its handy size make it easy to carry and your clients can easily indulge in these yummy treats as they please. Ready to place an order of your very own branded Biscuit Cello Bag? You may simply order through our website, upload your artwork, and we will take it from there. You may also use our live chat function and chat with a customer care agent in real time. Be sure to check out our customised savoury line of goodies, where you will find a broad range of savoury goodness that will certainly please a wide palate. Whilst you’re at it, take a look at our corporate confectionery items online. 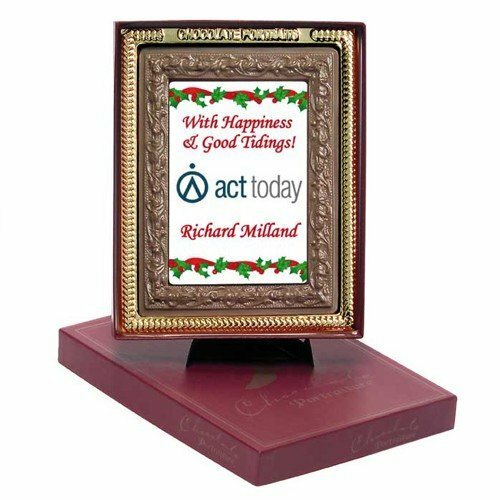 We’re more than certain that you will find the perfect confectionery promotional item to support your cause. To learn more about our products and get inputs on how to maximise your marketing campaign, give us a call on 1300 008 300. We’d love to chat with you! And, if you’re on the hunt next for some printed head wear to go with your confectionery marketing choices then you’ve landed at the right address. Our customer care team can also recommend a suitable coloured promotional cap or hat from our Fast Caps website that will be sure to make your edible savoury treats work their tails off. Perhaps start by checking out our branded Full Otto Flip Cotton Twill Flat Cap.